Culture has always been one of the greatest factors when it comes to defining the identity of a nation. It is a set of shared values, views, ideas, goals, and traditions between a group of people who identify themselves to be under that culture. It affects everything: the laws governing their lands, the food the people eats, their religious practices, and of course, the art. This is true for all nations and all cultures. India, as a country that’s in the middle of the ancient trading route, the Silk Road, had access to both Eastern and Western traditions and cultures. For example, the designs and style of their religious statues suggest a Hellenistic influence. 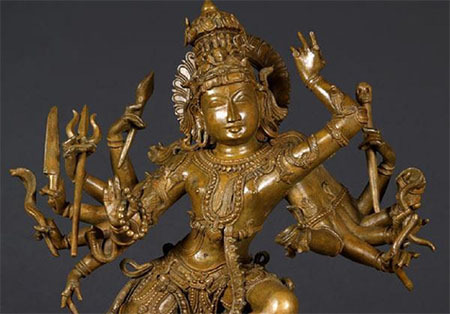 Though the elements can be found elsewhere, the result of the mixture of these elements to form what can be defined as “Indian Art” is unique to India. Rock paintings that dates back from pre-historic times, as early as 30,000 years ago, suggest that painting in India has always been there and didn’t come to India from somewhere else. There are two types of paintings that came to be in India: murals and miniatures. Murals are large art work done on walls of a man-made structure. 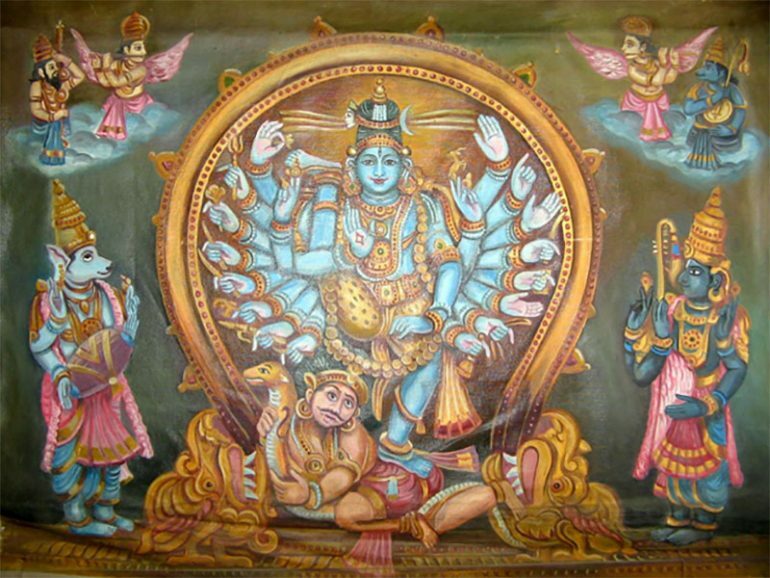 Temple paintings, such as those in Ajantha and Kailasamtaha temples are cited as examples of murals. Miniatures are paintings that were created on smaller mediums, such as paper and cloth. Best cited examples are the Mughal Miniatures. The Mughal style of painting started in northern India in the 16th and 17th centuries. With the support of the Mughal emperors, it became a well known art-style linked to both India and Islam. Another cited miniature style in India is the Rajput school of painting. With the Rajput kingdoms’ rise to power, so did the birth and prominence of this style of art. Miniatures are usually made in related to a manuscript they were made for. Besides these two, however, there are other styles of art that came to be, such as the Mysore and the Pattachitra. Modern Art in India owes it roots to the Bengal style. The Bengal School of Art came to be with the rise of Indian nationalism in the early part of the 20th century. It is a movement that can be described as “a revival of indigenous techniques and materials” and was led by Abanindranath Tagore during the times of the British Raj, with the support of EB Havell. The Bengal was succeeded by the Santiniketan school of art, then finally the post-independence movement that includes the introduction of Peudorealism genre. The Indus Valley Civilization’s only contribution to art in India is it’s small figurines made out of gold, terracotta and stone. They also produced some seals but that’s it. Nothing notable came after the Indus Civilization disappeared until Buddhism and Hinduism built their temples. Both Hindus and Buddhists constructed their temples out of stone and adorned it with sculptures of their deities. Hellenism influenced Buddhist art through Gandhara, creating Greco-Buddhism. Greco-Buddhism art went on and also influenced Hindu and Jainism in India during the reign of the Gupta Empire. They eventually learned to use bronze in their statues during the Chola era. These Bronze statues are usually smaller than their temple counterparts and used for private worship. After that, nothing’s really changed. Even on modern times the styles used in India for sculpting had changed from little to nothing at all. The history of art in India is deep and vibrant, especially the paintings. They’ve also perfected sculptures a long time ago. But since they’re mostly used for religious purposes that kind of stagnated on the development side. However, to be able to keep the style alive even after all these hundreds of years is kind of impressive on its own.